Join the teenage X-Men as they try to fit in at High School and learn to control their special abilities. Unfortunately the Brotherhood will make sure that they don't have an easy time of it. And as if that wasn't enough to keep them busy there's Magneto who is determined to start a war with humanity. All this and homework too. This is the dawn of the X-Men. Beyond Evolution is your destination for the most up-to-date X-Men: Evolution news. Marvel now has X-Men: Evolution videos available for viewing online. Most episodes from Season 1 are already available and more episodes will be added in the future. A new video clip featuring Storm from the "Cerebro's Mutant Files: The X-Men" feature on "The Complete Third Season" DVD is available in the Video Clips section under the "DVD" category. All of the screenshots from Season 3 are now from DVD rather than TV. For those of you interested in the "X-Men: Evolution: The Complete Third Season" DVD a Marvel Animation Age review is here. Marvel Animation Age X-Men: Evolution also interviewed Frank Paur who directed some of the X-Men: Evolution episodes. Season 3 on DVD May 23! Warner Home Video has announced a May 23 release date for X-Men: Evolution: The Complete Third Season, the same week that X-Men: The Last Stand reaches theaters. 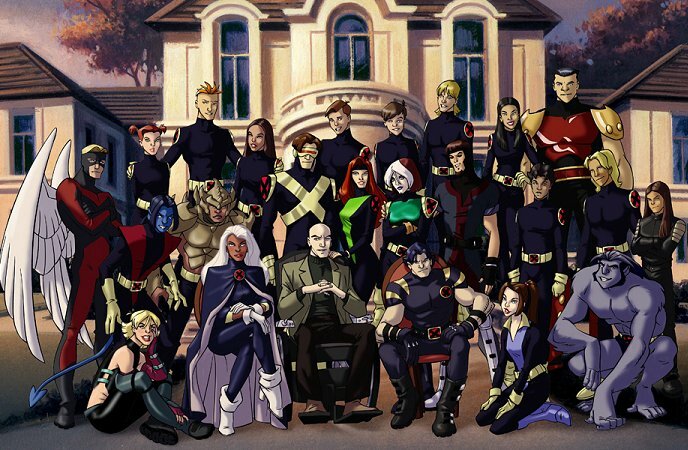 This marks the first time X-Men: Evolution has been collected in a complete-season set. The collection will cost $19.98. You can read the entire story here at Comics Continuum. I've fixed the broken videos on the Clips pages. Thanks to everyone that wrote in and let me know they weren't working. If there are any more problems, please just let me know. Thanks! Just a quick note to let everyone know that we won't be hosting fanfiction anymore. I apologize to everyone that's sent in stories, but I just don't have the time to keep up with it. Special thanks to Maz, our fanfic manager, for all of her hard work! TVShowsOnDVD.com reports that a new X-Men: Evolution DVD titled Mystique's Revenge will be available November 23rd. The DVD will include the final five episodes from Season 2 which include "Shadow Dance", "Retreat", "The HeX Factor", "Day Of Reckoning - Part 1" and "Day Of Reckoning - Part 2". High quality images of the Acolytes, the Scarlet Witch and the Sentinel will finally available for X-Men: Evolution fans to enjoy. Screenshots from the four "Powers Revealed" DVD episodes ("Beast of Bayville", "Adrift", "On Angel's Wings" and "African Storm") are now available in the image gallery and replace the earlier TV screenshots.